Founded in 1933, Turkish Airlines is one of the most established airlines in operation today. The flag carrier airline for Turkey, Turkish Airlines evolved and expanded significantly throughout the twentieth century and, as the airline soared into the new millennium, it solidified its credentials as a giant of air travel. Today, the airline boasts a fleet size upwards of 320, with Turkish Airlines flights travelling to more than 300 individual destinations in no less than 120 different countries. Ownership of the airline is split, with the Republic of Turkey’s Prime Ministry Privatisation Administration holding a 49.12% share and the remaining 50.88% left free for public trading. Based out of Istanbul Atatürk Airport with secondary hubs at Istanbul Sabiha Gökçen International Airport and Ankara Esenbo?a International Airport, the sheer scale and reach of Turkish Airlines is hard to match. In addition to affordable seats in Economy Class, the airline has built a reputation as a premier provider of affordable business class travel. In both categories of class, the airline has earned recognition from industry awarding bodies. Turkish Airlines has claimed Skytrax awards for highly competitive categories including Southern Europe’s Best Airline and Europe’s Best Airline, while also earning the merit of World’s Best Premium Economy Class Airline Seat from 2011 to 2013. In more recent years, its reputation as a go-to for business travel has soared significantly. The airline boasts a lucrative frequent flyer program, Miles&Smiles, made all the more enticing after Turkish Airlines became a member of the Star Alliance network in the first half of 2008. Points collected as part of this program can be used to purchase award tickets for Turkish Airlines flights, as well as tickets for flights operated by other Star Alliance members. 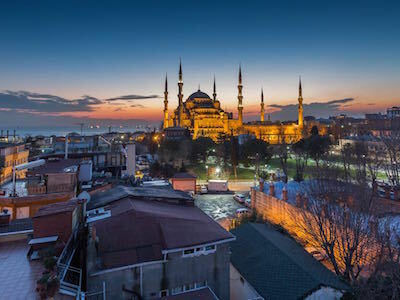 Other perks include the flexibility for last-minute upgrades, free access to Turkish Airlines and Star Alliance lounges at no cost, along with reservation priority and free seat selection. Passengers who utilise this frequent flyer program can also enjoy extra baggage allowance, while also being free to use Business Class counters to check-in at the airport, even when flying Economy Class. Key subsidiaries of Turkish Airlines include AnadoluJet, a Turkish regional airline handling domestic flights across the country and to destinations further afield, including Northern Cyprus. Other part-owned subsidiaries include Air Albania, the flag carrier airline of Albania, as well as SunExpress, an airline handling both chartered and scheduled flights to destinations across Europe, North Africa and Asia. Unsurprisingly due to its scope, Turkish Airlines also employs codeshare agreements with many other major airlines across the globe, including Air China, United Airlines and Air Canada. How do I check in online with Turkish Airlines? Online check-in has become a staple of modern air travel. Turkish Airline check-in online facilities allow for an easier time when it comes to managing your journey. Passengers can choose to check-in online via their tablet, smartphone or computer via the airline website, or opt to download the app for an even more streamlined check-in experience. Providing you’ve checked in online properly, you can head straight to the online check-in desk at your departure airport should one be available. Here, you’ll be able to deposit your checked baggage and head straight toward airport security with your boarding pass. You can choose to print off your boarding pass after checking in online or have it sent electronically to your smartphone. However, it’s advised you research your departure airport ahead of time to see what check-in options are available, as some may employ more conventional means of check-in and boarding procedures. If you’ve opted to streamline your outward journey with Turkish Airlines online check-in, it’s advised you arrive at your departure airport with at least 1 hour to spare if catching a domestic flight. If you’re catching an international flight, it’s advised you arrive 2 hours ahead of your departure time. Online check-in opens 24 hours before scheduled flight departure times and closes 90 minutes before departures as a general rule. During check-in, you’ll need to remember to have your relevant ID documents handy. In addition to your passport, other forms of ID you may use as further proof of your identity include your driving license, national ID card and marriage certificate. What is my checked baggage allowance on Turkish Airlines? To save disappointment during your journey, paying attention to the Turkish Airlines baggage allowance policy is crucial. In theory, baggage requirements can be different for each individual flight, but some common rules apply to all domestic flights and international journeys. The maximum weight for any single piece of checked baggage on Turkish Airlines flights is 32 kg, regardless of what passenger class you’ve booked or what flyer schemes you might be part of. On domestic flights, the maximum free baggage allowance weight is 20 kg for those travelling Economy Class and 30 kg for those travelling Business Class. Those travelling on journeys booked as part of a promotion may be subject to a limited baggage allowance of 15 kg. Checked baggage allowance for Business Class and Economy Class travellers is the same for international flights. On flights which use the baggage kilo rule, there is no limit on the amount of checked bags a passenger is allowed, as long as they’re combined weight falls within the allowance. Flights that utilise the baggage piece approach are subject to different criteria. In this instance, Business Class travellers are allowed a maximum of 2 bags measuring no more than 158 cm in length and weighing no more than 32 kg. Economy Class passengers are entitled to a single piece of checked baggage measuring no more than 115 cm in length and weighing no more than 23 kg. A foldable stroller/pushchair is also allowable for those travelling with infants. What hand luggage can I take on Turkish Airlines? Turkish Airlines' hand luggage allowance makes it easier to travel with the essentials you need on your trip. Business Class travellers are allowed 2 pieces of hand luggage weighing no more than 8 kg each and measuring no more than 55 cm x 40 cm x 23 cm. The same weight and dimensions apply to adults and children travelling Economy Class, although only a single piece of hand luggage is allowed. It’s also worth remembering some materials are prohibited within the cabin itself. Medicines are allowable, as long as they are stored in their original packaging and accompanied by a doctor’s prescription, while breathing apparatus and contact lens fluid are also acceptable. Cosmetics kept within bottles containing no more than 100ml are also allowed within the cabin. Any liquids taken with you into the cabin must be transported in a sealed, transparent plastic bag with a maximum overall capacity of 1 litre. Baby food is also allowable within the cabin if you’re travelling with an infant, although you should only carry enough to meet the feeding needs of your child. Where does Turkish Airlines fly from? Turkish airlines treated me very badly in Dubai airport and refused to help me one little bit. Great service, good airplane, lovely staff. I'm really dissapointed that name change is not an option. I had to book my husbands flight twice. I paid over £200 for his ticket in the end when combining both prices. It was a simple correction and regardless of the policy I was unable to cancel the ticket or change the name. The flight was good! I would suggest reviewing the veg menu! I was given a creamy pasta with minty yoghurt as a side! Would work great with a kebab (which the meat option was) but not sure about a vegetarian pasta. Overall a nice flight. Shown a lower cost ticket price and the price went up by 20.00 whn came to the payment. Price should not be changed. Not happy with that tricks on customers. The staff is the most unprofessional from all companies with which I have worked. I took several times the Turkish Airlines and I have also faced umprofessionalism on stewards side. Poor time schedule between Lagos to turkey and turkey to London which result in us missing the 8:15 flight and have to wait in turkey for over 5 hours. That’s not acceptable!! !